Dallas Cowboys owner Jerry Jones called Sunday’s 37-36 loss to Green Bay "one of the hardest losses that I’ve experienced." 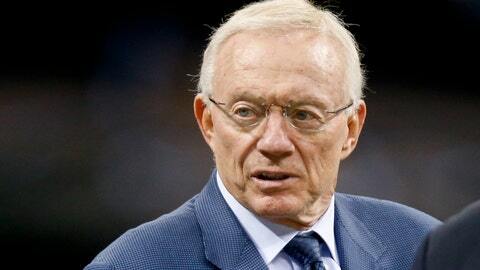 "That’s a shame that we lost that ballgame," Jones said, standing outside the Cowboys locker room at AT&T Stadium. "When you’ve got that kind of lead and you’re playing well, and we were playing well, then it’s a shame to lose a game like that." "I am disappointed, I hate to have the taste that I’ve got in my mouth," Jones said. "If you are in most everyone’s shoes in that dressing room, it’s obvious that this is a serious step back to have played the way we played in the second half and lost the ball game."